Lynx System Developers, Inc. et al. v. Zebra Enterprise Solutions Corp. et al. (15-cv-12297). 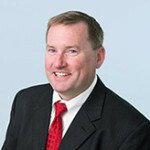 Judge O’Toole ruled on a pair of privilege disputes in this trade secret litigation, finding some claims of privilege to be without merit while upholding others. Lynx accuses Zebra of misappropriating real-time player tracking technology and used it to obtain a deal with the NFL that did not include Lynx. During discovery, certain e-mail chains were produced by Zebra in both keyword-searchable and non-searchable formats; redactions based on privilege were made in only one of the formats. The parties could not resolve whether the privilege claim was legitimate, leading to the filing of a motion to remove the redactions by Lynx. A first set of e-mails included communications between Zebra, Zebra’s counsel, and non-employee consultants hired by Zebra o assist in reaching agreement with the NFL. Following en camera review of the communications in question, Judge O’Toole determined that Zebra had waived privilege in these communications by sharing them with the consultants. He found that the Kovel doctrine, which extends privilege to communications with third parties that are necessary, or at least highly useful, for effective consultation between the client and the attorney, did not apply, because the redacted communications were not made for the purpose of obtaining legal advice, and instead concerned business advice. The communications also did not demonstrate that the consultants were necessary to interpret matters beyond the lawyers’ reach. He also rejected Zebra’s attempted reliance on the “functional equivalent” doctrine, by which non-employee agents of a corporation can be considered functionally equivalent to corporate employees by virtue of their close connection to the corporation, such that privilege would extend. Here, the consultants were not so closely tied to Zebra as to be equivalent to employees – they lacked longstanding relations with the company, worked remotely, were not Zebra’s sole representatives in negotiations, and were free to work for others. Judge O’Toole further noted that neither the First Circuit nor the District of Massachusetts had ever adopted or applied the doctrine. The results were different with respect to a different set of communications, with Judge O’Toole upholding the privilege in communications between Zebra executives and in-house counsel. He noted that such communications would only be privileged if they revolved around legal, as opposed to business, advice, but noted that the communications in question did address legal perspectives on issues being discussed. Previous Previous post: Anuwave LLC v. Sophos, Inc. (18-cv-10655). Next Next post: Araca Merchandise LP v. Does 1-10 et al. (18-cv-10648).